The Tennessee Craft-Midstate Chapter has a tent and display items (Items) that are available for loan to Midstate members. The tent and display items are available at no charge, however, a $50 refundable deposit is required. 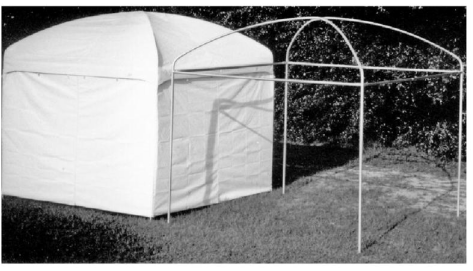 You may view images of the tent and display inventory via this link. A $50 refundable deposit is required. Payment of deposit must be made via PayPal button on this page. Items may be borrowed for a single event. Maximum number of days loaned will be 7 days. If Items are needed for a longer period of time, an additional deposit may be required. The artist is responsible for safe storage, transportation and use of all Items borrowed. Upon return of all Items in the same condition as they were loaned, the deposit will be refunded. If Items are returned damaged or if Items are missing, deposit will not be returned. Items will be picked up and dropped off by the artist at the storage location. Midstate will not transport any Items on behalf of the artist. Storage location is in West Nashville. Exact location will be shared with the artist after request has been approved. The artist is not to reach out to the storage location directly. A Midstate board member will make arrangements with the storage location for pick up and drop off. Pick ups and drop offs must happen during a weekday in order to fit into customary open hours for the storage location.